This title acts as a primer, giving students and newcomers to the field an opportunity to learn about the breadth of the CNS drug discovery. The book outlines the core processes in drug discovery and development for CNS disorders, from evaluating drugs for desirable efficacy, safety and pharmacokinetic features in preclinical (using in vitro and in vivo models) and clinical experimentation to identifying future drug targets. 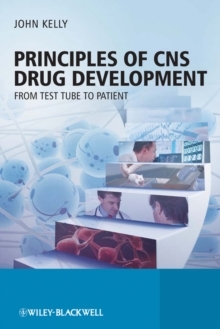 Containing up-to-date experimental evidence and detailing the main impediments in the pipeline of CNS drug discovery and development, this is a key reference for those involved in all stages of CNS drug discovery.